Winter Lights is a fast growing native reaching up to 3 – 5 metres in height and up to 1.5 metres in width. The dense foliage is resistant to psyllid and it is ideal as a screen or garden hedge. 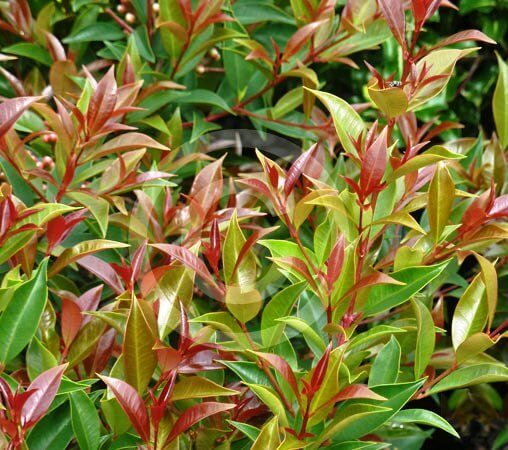 This shrub adapts well to most conditions but prefers partial shade to full sun and grows best in a well-drained fertile soil. Well known for the brilliant red colour of its new foliage and small white flowers which appear in spring and summer, followed by bird attracting edible purple berries.